Just what would Anne Brontë and her sisters have thought about the technological age that we live in today? As we near the end of 2017 (how that’s flown!) we are entering the age of driverless cars, and discussing the future threats to job security and more that could come from thinking humanoid robots. It’s a far world of course from the one that Anne knew in the first half of the nineteenth century, but even then things were changing rapidly. Haworth, the village she grew up in, was being transformed by the Industrial Revolution. It brought positive and negative changes, and resulted in Luddite risings across the north of England, where men who had lost their jobs to increasing automation took their anger out on the machines and on the mill owners who used them. It was a dangerous time, as shown in Charlotte Brontë’s second published novel Shirley. The railway also transformed the nation during Anne’s lifetime. It was as great a leap forward then as the internet has proved to be in recent years. Prior to the railway it took Maria Branwell, Anne’s mother, around ten days to travel from Cornwall to Yorkshire by road; a journey so fraught with danger, not to say tiring, that many travellers wrote their wills before embarking upon it. By 1848, Anne and Charlotte travelled from Yorkshire to London by train in a matter of hours. The sisters’ means of writing was changing as well – in their childhood days they used the traditional quills made from bird feathers, but by their maturity they were using pens and nibs very similar to the fountain pens of today. 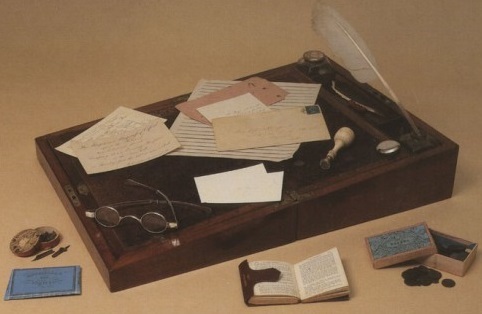 Above all else, the Brontë sisters, especially Anne, were open to new possibilities and able to adapt to new challenges and opportunities, so I feel they would have embraced today’s technology and become bloggers, tweeters and instagrammers as well as writers. 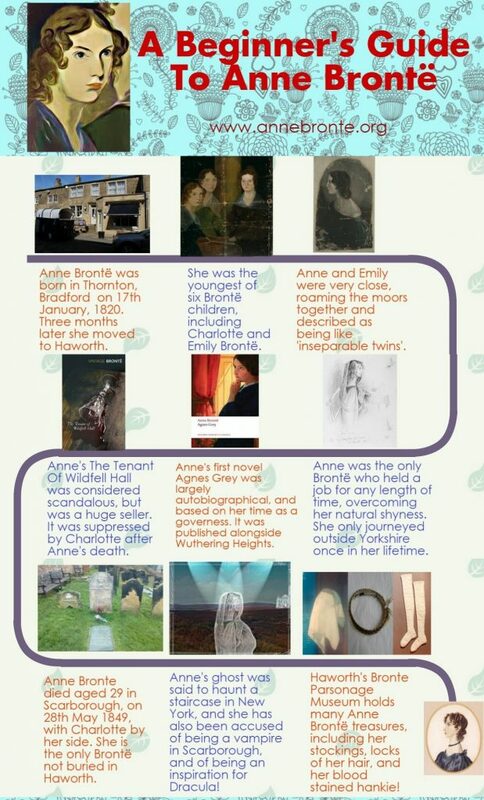 Using this technology to the full, ahem, I’ve created this infographic giving a beginner’s guide to Anne Brontë – I hope she would have approved!